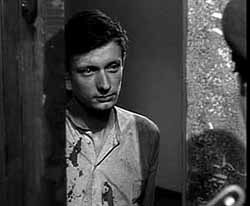 Robert Bresson (1901-1999) is at once the most and least accessible of auteurs. Far from prolific, Bresson directed a mere 13 features over a four-decade period from 1943 to 1982, making him an ideal candidate for in-depth study. But this pleasing scope is deceptive: some of the films — The Trial of Joan of Arc, Four Nights of a Dreamer — have been almost impossible to see, rarely revived and unreleased on DVD, though that situation is being remedied now by a few companies dedicated to making all of his work available. Two recent DVDs from New Yorker, A Man Escaped and Lancelot of the Lake show Bresson at the peak of his form. These films come from different decades and are in fact very different films that share a particular interest in the body as constantly under siege, threatened by forces determined to destroy it and, in the process, the spirit that lies within it. Bresson has been seen as many things, from the curious moniker of “Christian atheist” to the more intelligible, though not always accurate, fataliste. Calling him an optimist seems almost blasphemous given the horrors that his characters generally endure. But A Man Escaped (1956) stands out in his canon as an almost sunny work, albeit with a background as grim as any of his films. This project was an ideal choice for Bresson, who himself spent a year as a prisoner of the Germans in occupied France. An opening title tells us that A Man Escaped is based on a “true story.” Set in Lyon, France in 1943, the film was inspired by the daring escape of Resistance fighter André Devigny from prison just a few hours before his death. In Bresson’s hands, Devigny becomes Fontaine (François Leterrier), a man who tries to escape from the German authorities even before he’s incarcerated when, in the opening sequence, he leaps from the car transporting him to jail. Fontaine is captured and beaten severely, so much so that his shirt is covered with blood and remains so for much of the film. Soon he is imprisoned alone in a tiny cell with a high ceiling and a small window. The Germans who run the prison are mostly shadowy figures who open Fontaine’s door or close it, bark an order or beat a prisoner, typically offscreen. They are unsketched, oppressors without precise form, representing that familiar Bresson trope of an unknowable, implacable fate. Conversely, Fontaine’s daily life and surroundings are rendered in starkly realistic, almost microscopic detail, from close-ups of the wood grain of the cell door or the spoon he sharpens into a knife to the rigid rituals of washing himself and emptying his slop bucket in the prison yard. During the latter times, Fontaine meets his fellow prisoners and develops a complex secret society with them involving furtively exchanged notes, pencils, spiritual advice, whispered fears and encouragements. Fontaine expresses despair at his situation early on — “In the courtyard I got used to the idea of dying” — but he is ultimately completely engaged with his own liberation. 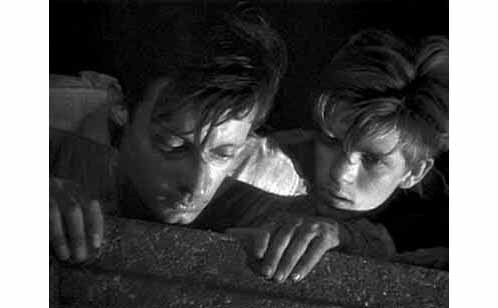 Bresson has stated that Fontaine is motivated by “boredom and idleness” rather than Devigny’s courage, but the character’s behavior and comments challenge this idea. He is quietly encouraging to others (“Be strong, Orsini”), asks what he can do for them, and expresses his longing “to go home, to be free.” This attitude separates him from his fatalistic fellow prisoners, and isn’t lost on them. One says to another, “You can’t control fate.” The other replies, speaking of Fontaine, “he can.” Unlike so many Bresson characters, Fontaine is convinced that he has free will, even in the unlikely situation of prison, under sentence of death. And thinking he has it is enough to give it to him. Still, Fontaine needs more than cleverness and courage to survive. Soon, an unexpected cellmate appears, a disheveled teenager named Jost dressed in an ill-fitting mix of German and French uniforms. Fontaine is puzzled: Is Jost a spy? Will he cooperate with Fontaine’s escape plan, which has become more pressing after he’s told he’ll be executed? Fontaine greets him with skepticism but also subtle affection, and worries that he may have to kill the boy to preserve his plan. The naïve Jost is in fact indispensable to the plan, embodying that additional spiritual ingredient that Fontaine requires in order to escape. “Alone I might have remained there,” he says, expressing the film’s theme of redemption. Fontaine’s decision not to hurt Jost, to add to his plan the spiritual dimension the boy represents, in a sense redeems Fontaine, and empowers him. With Jost, the escape becomes less selfish; Fontaine is helping another person, a boy with his life ahead of him. Jost is in a sense Fontaine’s deus ex machina. A Man Escaped is typical of Bresson’s work in creating highly emotional effects by juxtaposing seemingly oppositional images and motifs. Events of great significance — the killing of a German guard or the shooting of a prisoner — are played entirely offscreen, letting the viewer’s imagination linger on them. A group of women indifferently cross the courtyard while shots ring out — a prisoner is executed. The ritual of emptying the slop-buckets is accompanied by the film’s stately repeated Mozart theme, the sublime and the squalid given equal weight. An object as small and simple as a spoon becomes the great key to Fontaine’s liberation. And what a world of emotion is implied in a single word when Fontaine helps Jost down the wall and hugs him, lovingly saying his name: “Jost.” The final image of the two marching determinedly in bare feet away from the prison into the foggy night is one of cinema’s most satisfying. 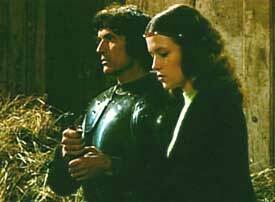 Moving along to 1972, and into much darker territory, we come to Lancelot of the Lake. This was a long-cherished project for Bresson, one he began preparing before shooting A Man Escaped but did not finish until nearly two decades later. For this proposed chronicle of the aftermath of the Knights of the Round Table’s search for the Holy Grail, Bresson hoped to make two versions, one English and one French. He failed to secure financing for this, but no matter. With a Lancelot this good, one is enough. There are many aspects of the film worth talking about, but here I’ll concentrate on the fragmentation motif and the extraordinary blend of formal beauty and spiritual emptiness. The film opens with grimly beautiful imagery that will be repeated in variations throughout: a dark forest in which knights in sleek, shining armor are cut down, with blood gushing from dying, sometimes decapitated bodies. King Arthur’s knights, led by his greatest, Lancelot, are returning in disarray from their failure to find the Grail. This epic failure is the first of many that filigree the film. Lancelot, inspired by a spiritual vision, tries to end his adulterous affair with Queen Guinevere, wife of King Arthur, but Guinevere refuses. When Lancelot does decide he wants her, the unity of the knights further splinters. Dissolute and despairing, they form warring factions, with Mordred, as dark a presence as his name suggests, leading the group against Lancelot. In this alienated world even friends fail to recognize each other. This can have lethal results, as when Lancelot unknowingly spears his beloved friend Gawain, both men’s identity hidden behind their helmets. The centerpiece of Lancelot is a bravura tournament sequence in which Lancelot brutally dispatches a series of opponents. Here we see Bresson’s artistry at its most concentrated. Classical film technique would dictate an approach that lets the viewer know who is fighting, showing their faces, certainly, and situating them in the filmic space in a way that makes the fast, violent action of battle as intelligible as possible. Bresson inverts this approach, perversely cutting the heads of the jousters out of the frame, showing the horses’ legs or flanks, a musician unseen from the neck up, and a series of flags raised to indicate victory. Intercut with these images are shots of the other knights watching and reacting from the stands at things the viewer never sees in their entirety. This fragmentation pervades the film, particularly the decapitation motif. Bresson, the most controlling of directors, is doing the same thing to these characters that they are doing to each other, fragmenting, attacking, symbolically beheading them with these repeated shots from the neck down. We know it’s Lancelot in the tournament but not because we can see him — he’s hidden by his helmet or truncated by the frame. These are not whole, realized beings, and cannot be in the world the film surveys. There is no grace here. Throughout Lancelot Bresson pays as much attention to the polished armor and chain mail the knights use for protection as to the characters themselves. They have literally “gone to pieces” in the spiritually desolate world of the film. 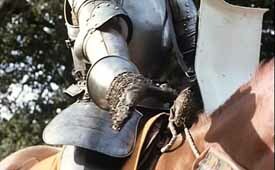 Critic Richard Roud has suggested that Lancelot‘s constant close-ups of the armor, and the clanking, groaning-metal sounds heard frequently on the soundtrack, symbolize the code by which these knights live. But the armor can also be read as another of the film’s failure motifs, as, despite its seeming strength, it fails to protect them from the lethal arrows of Mordred or Lancelot’s lance. 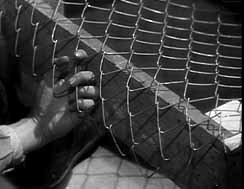 The constant emphasis on the surface — Bresson once said “Think of the surface of the work” — of steel and mesh in fact points to the severe vulnerability of the body. The armor is laughably ineffective, almost pointless, a flimsy barrier unable to guard the weak body and the spirit inside from the forces that assail it. Lancelot is littered with images of the knights’ life’s blood pouring out onto their glittering armor, images that echo the failure to find the Grail (which reputedly contained the blood of Christ). Unlike Fontaine and Jost, there is no redemption for these men. In this most carefully crafted film, the images of the knights’ destruction shimmer on the screen , shapes and colors as dramatically etched as an engraving by Dürer. Like his other films, Lancelot is saturated with spirituality, but it’s not the spirituality of salvation. This insular world seems alternately godless and besieged by a malevolent deity. The failure of the Grail quest is the failure to find God, and thus salvation, something the film makes explicit in Guinevere’s rebuke to Lancelot: “It was not the Grail. It was God you all wanted. God is no trophy to bear home.” The castle to which the knights return is seen as a place devoid of the spirit: “Is this silent, empty castle a sign He has forsaken us?” says Lancelot. This spiritual emptiness plays out in the horrendous violence these mysterious, often disguised characters inflict on each other. Bresson’s use of actors as “models,” their every move planned and controlled, has never been more effective. 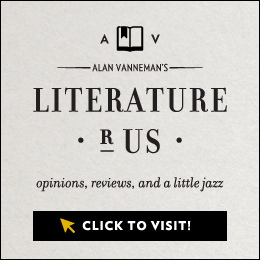 They are hapless players in a drama outside their control, clinging to outdated chivalric codes and weaponry that can do nothing to save them. Guinevere tells Lancelot, “I am your strength” — but she is not enough either. As always with Bresson, the soundtrack is as controlled as the characters. 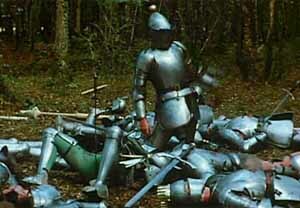 Most telling is the use of creaking, clanging armor in the knights’ movements, flights, and jousts. It’s hard not to read these disturbing sounds, repeated to enervating effect throughout, as the guttural cry of humanity that the characters cannot express in their own voices. 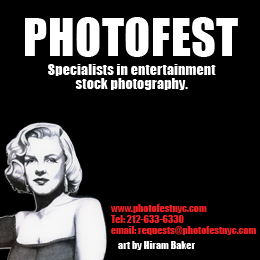 As “models,” the actors cannot incarnate their characters in the usual ways. These are not nuanced performances, with actorly ticks and tricks. Bresson doesn’t allow such expressiveness. But displacing the characters’ emotions onto inanimate objects like the armor has its own poignancy and power. One of the film’s most brilliant sequences shows a riderless, seemingly panicked horse, racing through the dark forest. The camera twice pauses on a riveting image of a dying knight, blood spraying from his punctured armor. Another is the final scene in which Mordred’s forces, hidden in trees, attack Lancelot and his men with arrows. The last shot shows a pile of armor-clad bodies, a gruesome heap that recalls the masses of bodies seen in Nazi atrocity footage. This tableau of humankind as ultimately little more than a twisted mass of blood and steel is perhaps Bresson’s definitive take on the human condition. Unlike Fontaine and Jost, these men don’t escape. Neither of these releases could be mistaken for a Criterion DVD. There’s very little in the way of extras, essentially just a trailer and chapters. But not to worry. Both transfers are excellent, and the films, after all, are what’s important.